Hello everyone! 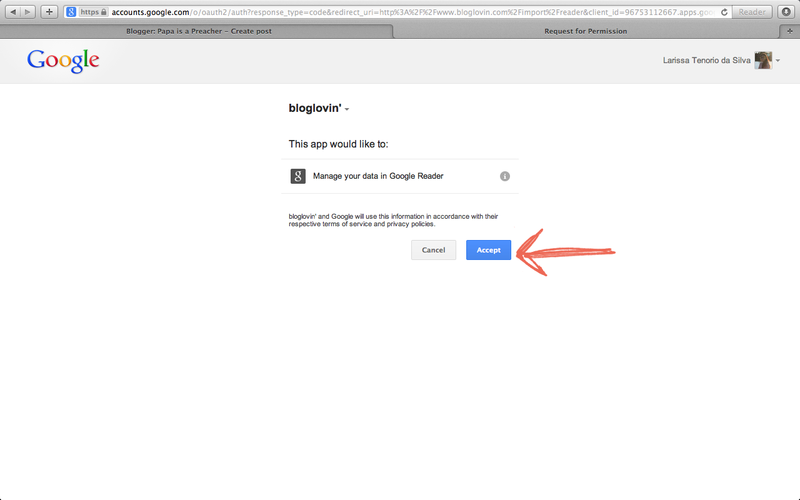 So … Google is changing this whole thing up and we’ll no longer have our Google Reader (for me that’s when I’m on my dashboard and scroll down to see all the new posts y’all have to share.) Yeah, that’s going away. Shall we take a moment of silence? Anyways, everyone is trying to come up with a good way to keep in touch. Well, Papa is a Preacher is basically everywhere. We’re on Twitter (I post links when a new post is published), Facebook, and you can get us in your inbox! But we’re also on BlogLovin’ (and a few other places). 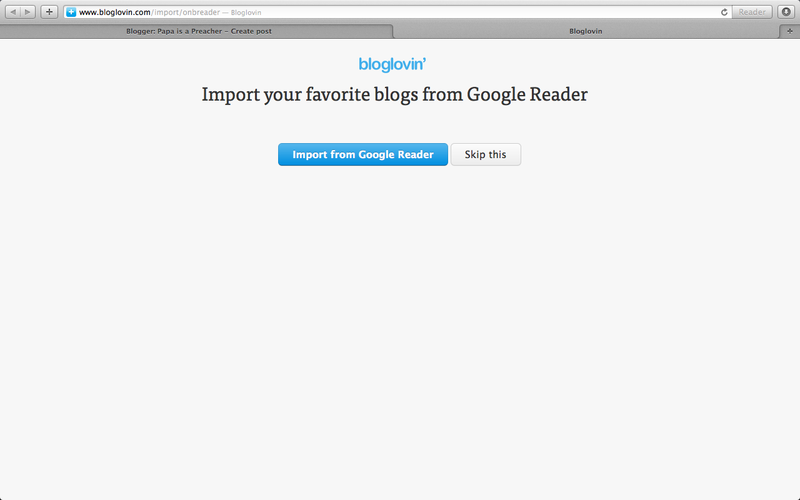 BlogLovin’ is kind of like one big Google Reader website. You log in and and up pop all the blog posts you’ve yet to read. Yeah, it’s cool like that. You mark the ones you’ve read, the ones you’ve favorited, and you can make categories! Fashion blogs, food blogs, random blogs, “must-read-I-love-these” blogs. You get the idea. 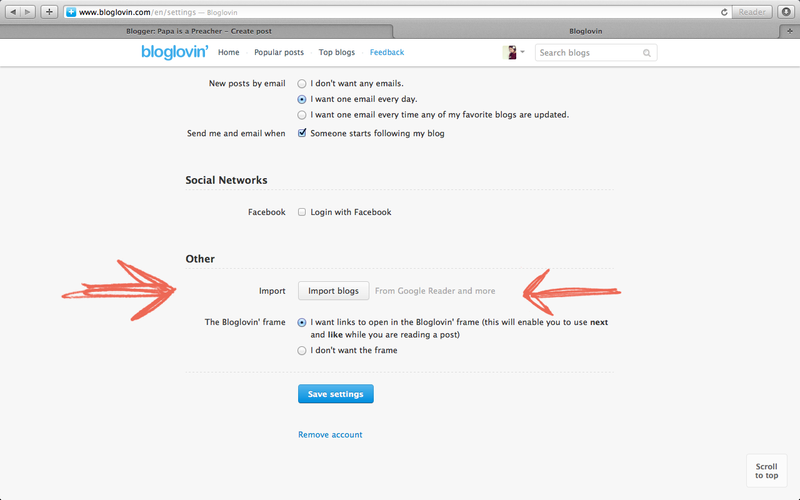 If you want, BlogLovin’ will send you an e-mail a day with all of the posts from the blogs you follow. It’s pretty neat. 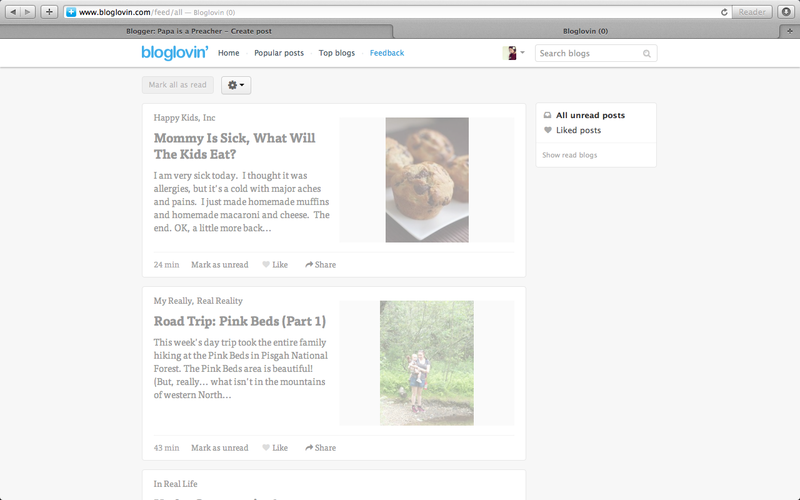 For followers it’s a great way to keep track of all the blogs you enjoy! 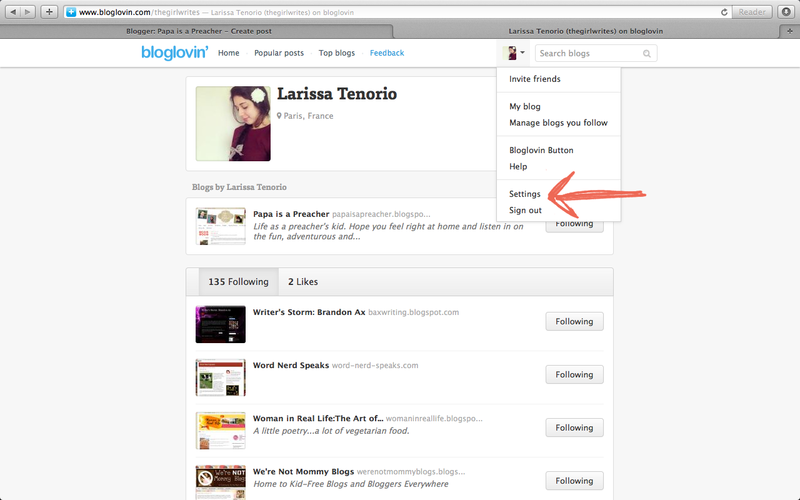 But what if you follow tons of blogs? 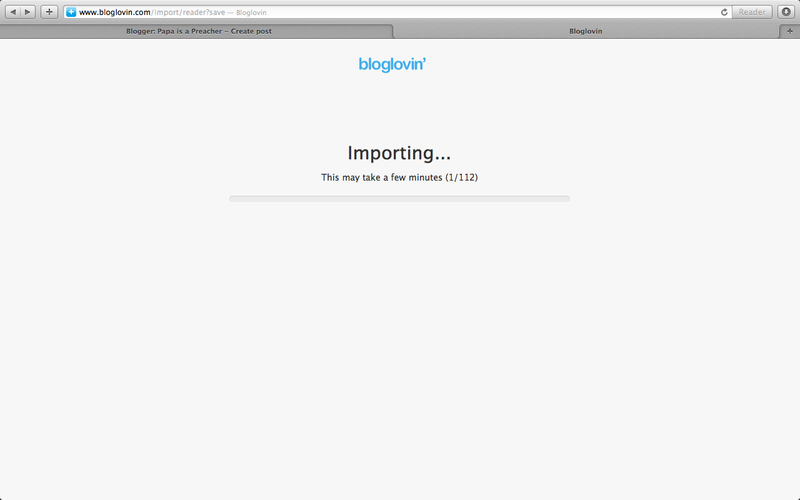 Ain’t nobody got time to go look for them all on BlogLovin’, right? 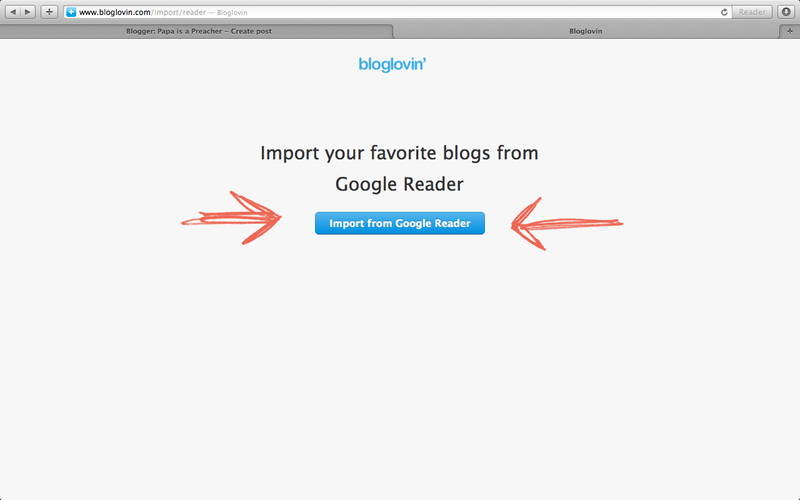 Well, with this tutorial you can sync all of the blogs you have on Google Reader onto BlogLovin’! 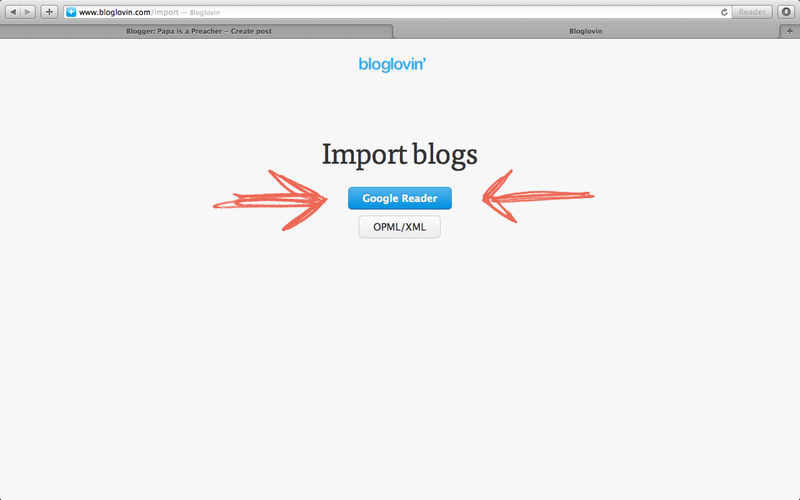 If you’re already on BlogLovin’ here’s how to import all of the blogs you read onto BlogLovin’. This is the part where you hear the angel choir going “Ahhhhhhh”…because BOOM! You’ve found it. Reward its politeness by accepting. (Click Accept), and now just sit back and let the site do it’s own thing. And voila! You will be redirected to your newsfeed where you may scroll down and see all of the blogging sweetness you will be missing from your Blogger Dashboard in two-three weeks!